Venice Beach punks LUICIDAL have a brilliant new video which they’re premiering exclusively with Vive Le Rock! ‘One Steel Soldier’ is the epic closing track from the band’s recently-released second album Born In Venice and stars guest vocalist Dale Henderson from thrashers BEOWÜLF. The video is the work of renowned artist and skater Bart Saric. 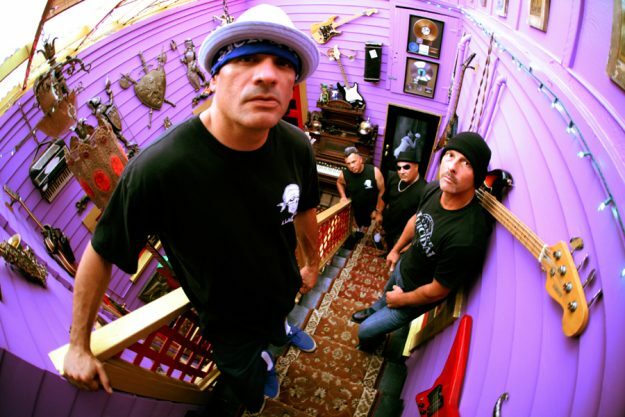 Luicidal was formed in 2012 by former SUICIDAL TENDENCIES members Louiche Mayorga and R.J. Herrera with a yen to create music “badass like the 80’s style Suicidal music.” The band released their self-titled debut in 2014. By early 2016, Herrera had left the band and the current line-up features Marty Ramirez on guitar, Mayorga on bass, Vince Sollecito on drums and Mike Avilez on vocals. Fellow Venice band Beowülf formed in 1981, signing to Mike Muir’s Suicidal label. Releasing their first album in 1986, and sometimes described as a cross between Suicidal Tendencies and Motörhead, they’ve had numerous line-ups, Henderson being the sole original member. Born In Venice was released in October and is available on Cleopatra Records.